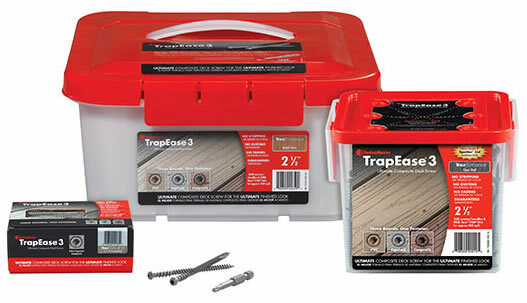 TrapEase 3 is the only deck screw guaranteed to create a clean finished look without predrilling in all three types of synthetic decking: composite, PVC, and capstock. 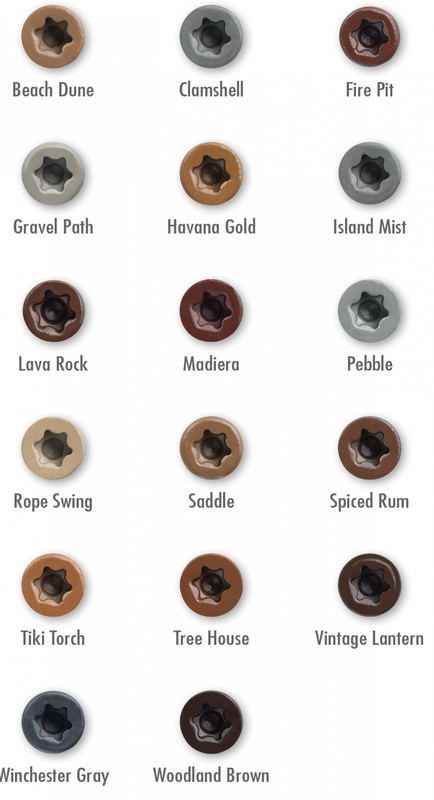 Anti-fade head paint, the new anti-strip Torx® TTAP® drive system, and a lifetime corrosion warranty make TrapEase 3 the Ultimate Composite Deck Screw. Covers Appx. 100 Sq. Ft.
*Based on a fastening pattern of 2 screws per joist, spaced every 16", into standard 6" wide decking. Covers Appx. 300 Sq. Ft.